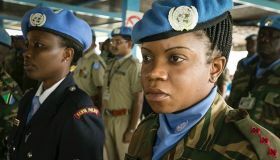 This article was originally published on the UNU-MERIT website as part of the “Challenges to Peacekeeping in the 21st Century” series. Stakes are always high in peace operations, so decent training is vital for the various roles of peacekeepers, the implementation of the mission mandate, and for ensuring operational unity, coordination, and coherence. 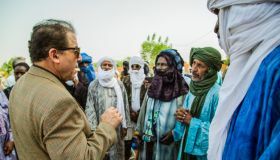 Expectations are high from the outset: the UN Core Pre-Deployment Training Materials, which are used internationally, say that peacekeepers must be competent and efficient while showing integrity, good judgement, and knowledge of the local culture and history. Moreover, missions and mandates have become far more complex with the transition from traditional peacekeeping to multidimensional peacekeeping, which has expanded the spectrum of tasks and added more professions to the field. For example, in the context of security sector reform and other rule-of-law activities, there is a growing demand for peacekeepers to act as capacity builders. This means more mentoring and advising, as well as more skills and knowledge transfer. To develop these qualities in peacekeepers, the Department of Peacekeeping Operations (DPKO) pursues three phases of training (which have been adopted by other international bodies like the African Union and the European Union). It is the responsibility of the troop and police-contributing countries to provide their peacekeepers with pre-deployment training, which is scheduled for a minimum of two weeks. Training for civilian peacekeepers is conducted by DPKO’s Integrated Training Service. Induction training then varies in length and is conducted for all peacekeepers upon arrival in the field. This partly repeats the generic and specialised subjects from the pre-deployment training, but also touches on mission-specific issues, challenges, and priorities. In addition, peacekeepers may attend training during their deployment, which is described as ongoing training and can also vary in length. To give a concrete example, a two-week pre-deployment training for police officers of the African Union / UN Hybrid Mission in Darfur (UNAMID), which was based on the generic UN Core Pre-Deployment Training Materials, included the following multitude of subjects: 1. UN and AU systems, 2. codes of conduct, 3. humanitarian assistance, 4. personal security, 5. hygiene, 6. HIV/AIDS and malaria, 7. map reading and radio communications, 8. vehicle handling and safe driving, 9. mine awareness, 10. sexual exploitation and abuse, 11. child protection and protection of the vulnerable, 12. human rights, 13. rule of law, 14. transitional justice, 15. community policing, mentoring, and advising, 16. communication and negotiation skills, 17. disarmament, demobilisation, and reintegration (DDR), 18. media relations, 19. civil-military coordination, 20. gender equality, and 21. reform, restructuring, and rebuilding. How can anyone be expected to learn all of these subjects — and then apply them in a conflict setting — within two weeks? Ambitious is one way to describe it! Time constraints mean little scope for the digestion of training content, practical exercises, feedback on performances, reflection, as well as identifying knowledge and skill gaps. 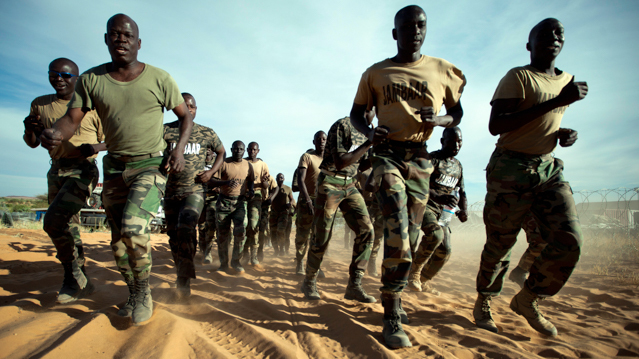 While one may assume that the training duration is sufficient, compelling research shows that peacekeeping requires “a major change in mentality and approach, as well as knowledge”. Then, of course, training standards will vary from trainer to trainer and country to country. One facilitator from the African Centre for the Constructive Resolution of Disputes described how he was asked to teach conflict analysis, mediation, and negotiation in two hours. He stressed that conflict analysis can fill an entire degree programme, so these short training sessions are purely introductory and only scratch the surface. Similarly, the long list of subjects in the two-week pre-deployment training can solely mean one thing: an introduction to each topic. Yet, the latest training needs assessment of the UN Integrated Training Service speaks of “knowledge, skills, and behaviours required for effective mandate implementation [emphasis added]”, which would suggest the need for a more in-depth and transformative training experience. Why are these peacekeeping training courses so short? In interviews, practitioners said that short courses are preferred due to the limited time available for professionals. Naturally, there is a financial component in having to pay staff while enrolled in long-term training programmes. However, research has found that participants of short teaching sessions, seminars, and workshops were less capable of defining problems and identifying solutions in line with the desired norms than participants of long-term programmes. While barely scratching the surface of these issues, it quickly becomes clear that we need to be more realistic about the balance between time investment and training impact. 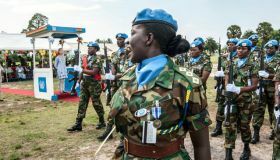 Clearly, the skills needed to fulfil international expectations of peacekeepers — and what they are meant to achieve — go far beyond a simple introduction of all participants to the same basic level of understanding. Ultimately, the training scope for peacekeepers needs to be increased. But even if more extensive training is recommended, it has to be kept in mind that peacekeepers are generally deployed for a year with the potential of extension. So, considering what peace operations are supposed to accomplish, the tasks peacekeepers are faced with, and the limited time of peacekeepers’ deployment, the question remains — how much training time is enough? Peace Support: A New Concept for UN Peacekeeping?